T-shirt and skirt as maternity wear. Cute and trendy pieces to mix and match and feel at ease. 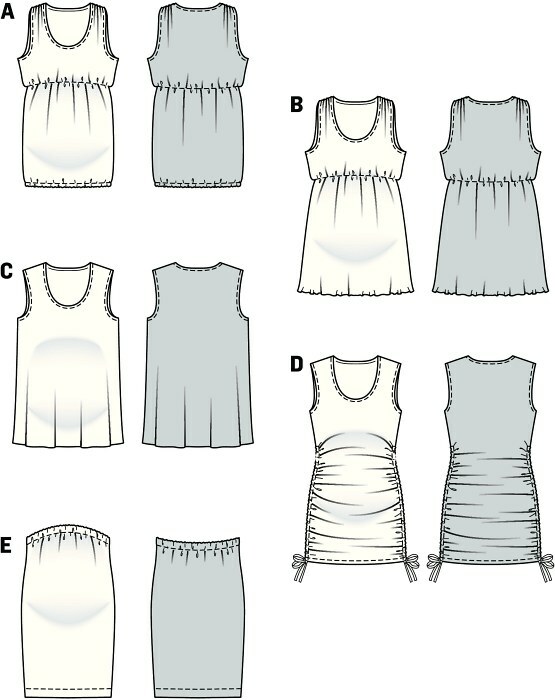 Four individual tops with varying gathering-ups or the plain A-silhouette – just make your choice. Matching narrow skirt, raised front, with elastic casing for adjustable width.